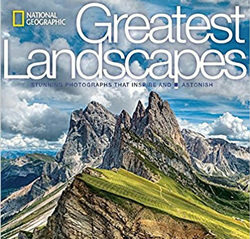 Pick up a few landscape photography tips and tricks from professionals in these 20 top landscape photography themed books. Landscape photography is one of the most popular forms of photography and with all of the beautifully, eye-catching locations around the World, it's easy to see why. Landscape photography is a subject that's really accessible to all as most of us don't actually have to travel that far to find a park, picturesque hill or river to photograph. We all know the best way to learn photography is to get out there and just do it but there's no harm in browsing an educational book while you're having a brew to help improve your technique. 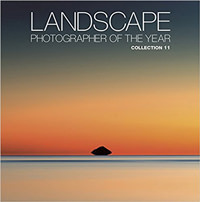 There are probably hundreds of photography books out there that have a landscape theme, we've reviewed quite a few of them as well, so to help you choose a title to start with, we've put a top list together that features the most popular / highly rated landscape themed books ePz has reviewed, plus a few of our favourite titles. If you want to, you can purchase/find more information about each book listed by clicking the green Amazon buttons featured below each product. It doesn't cost you anything extra when you press our Amazon buttons but by using our Amazon Affiliate links when ordering anything online, you are supporting the site - thank you. 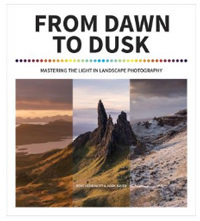 From Dawn to Dusk is a practical, hands-on guide to mastering the techniques required to take better, more creative, landscape photographs. It is also a photography guide like no other. The book has a unique structure that leads the reader on an hour-by-hour, picture-by-picture journey from dawn to dusk, and then on into the night. Each chapter focuses on the benefits and challenges of shooting in the available light at a particular time of the day. Masters of Landscape Photography delves into the world of 16 leading lights, each with their own unique take on how, where, and why the landscape should be recorded. Through probing Q&A style interviews and beautifully reproduced images, the reader is given an insight into the artist's working practices, from the equipment they use to the techniques they employ and everything in between. This is a popular book over on Amazon thanks to the insights it offers and they way information is offered in an informative but entertaining way. It features stories and anecdotes all about the images featured in the book along with tips on using social media to get your images seen by millions. The book offers advice on hiking, travel and the great outdoors as well as useful information on technical subjects such as where to focus and shooting RAW. It's definitely a title that the beginner, as well as the seasoned pro, will enjoy having a look at. 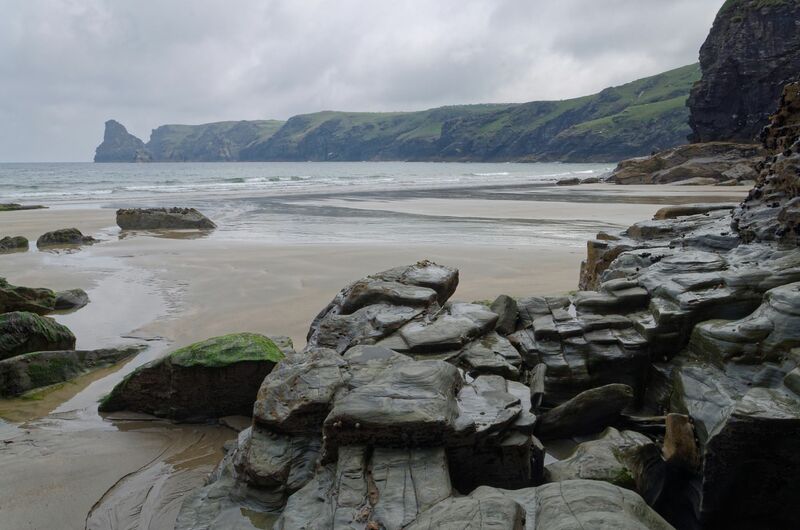 If you're looking for landscape location inspiration, take a look at this book which features what Joe Cornish considers to be fifty of the most amazing landscapes in Britain. There are sections on Mountains, Islands, Forests and Coasts, and the book concludes with a fascinating look at the ways in which British people have shaped the landscape over thousands of years. As well as beautiful images, the book also features text from leading outdoors writer and campaigner Roly Smith as well as some personal recollections from Joe and Roly about their own experiences in the places discussed in the book. 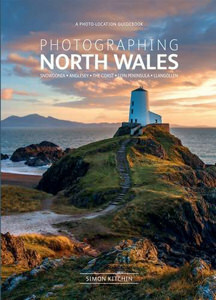 Photographing North Wales is a photo location guidebook by Simon Kitchin. Simon is a seasoned landscape photographer and here he shares with us his passion for North Wales and all his favourite locations to photograph in the area. ePHOTOzine gave the book 5 stars and said: "Simon has captured some truly gorgeous images of North Wales and this book is a pleasure to look through not just as a photographer, but also as someone looking for pretty locations to visit and walk around. The information at the back on local railways, historic gardens and yearly events is ideal for those planning a holiday to the area, whether you're just taking your camera along for the ride or planning your break around it, this book certainly sells North Wales." Photographing The Lake District is a full and comprehensive guide to shooting in one of the most beautiful places in the UK. It's written by Stuart Holmes and is another 5-star winner over in ePHOTOzine's book review section. 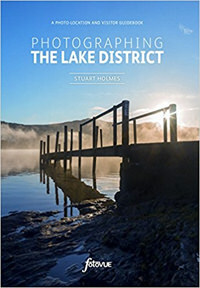 Commenting on the book, ePHOTOzine said: "Overall, this is an extremely useful and well thought out book, for any photographer or indeed outdoor enthusiast looking to learn more about photogenic locations in the Lake District. The book is also filled with loads of beautiful images by Stuart, showing you what is possible if you have the knowledge of photography and the area. 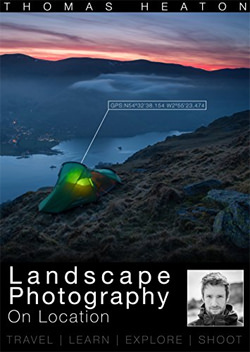 A really great title that will no doubt be a handy guide for any photographer interested in learning about and improving their Lake District photography." 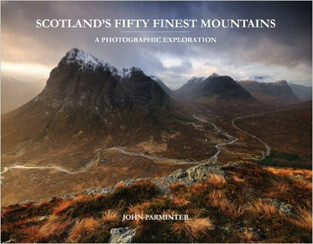 Scotland's Fifty Finest Mountains is a detailed photographic exploration into some of the most stunning views of Scottish mountains. John Parminter has been a landscape photographer for a relatively short time, yet his images speak of years of experience in the hills. It's another landscape title ePz loved, awarding it 5 stars, and praising it for its 'engaging narrative and visually stunning photos'. In the review, ePHOTOzine said: "The book sets out to showcase the very finest mountains that Scotland has to offer, and it doesn't disappoint... Each double page spread is dedicated to a different mountain. John gives us a short description for each one of what ideas he had for the photo, how he went about achieving it and some facts and figures about each mountain. This accompanied by his awe-inspiring photos makes for a great read and makes you appreciate the natural beauty that Scotland has." 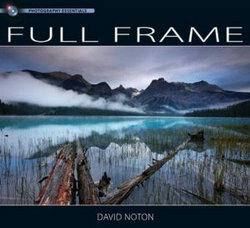 David Noton is a name well-known in landscape photography circles but if you don't know who he is, you'll soon realise why he receives so much praise after taking a look at this book. ePHOTOzine gave the title 5 stars and said: "If you want to be inspired, wowed and want to pick up a few essential photography tips along the way, you need to take a look at this book... Full Frame's the title and it's an apt name for a book that gives you a full look into the working life of a photographer as well as this one does. It's an interesting read and well worth a look over while you're sat down with a cup of tea." Arthus-Bertrand's aerial photographs have been assembled into a really interesting landscape photography book. 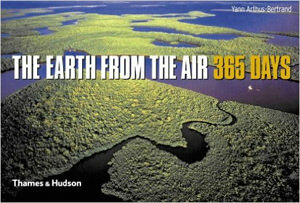 This adaptation of the highly successful Earth From The Air book takes the original 170 aerial views and adds a further 195 to create a year of pictures. ePHOTOzine scored the book 5 stars, saying: "The quality is amazing with pictures of every corner of every continent. We are treated to a highly visual feast, making us appreciate our world at a higher level. Better still, each photograph is accompanied by a description of the area being photographed from above, so as well as being inspired by stunning landscapes, we can learn loads at the same time." 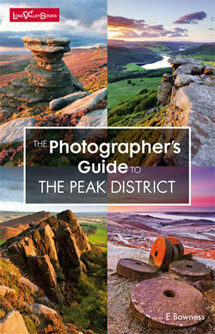 The Photographer's Guide to the Yorkshire Dales is a comprehensive guide to all the photogenic destinations in the area. In our review, where it received 4.5 stars, we praised it for its 'stunning imagery' and the knowledge the local photographers' display. Each chapter has an overview and detailed maps of that Dale, to help you find your way around, and for each destination, there is a one or two page spread telling you about the place, what makes it so photogenic, the ideal time of day or year to visit it, and a detailed paragraph on how to get there. ePHOTOzine said: "The book is filled with stunning images of the Dales from local photographers, who know the area like the back of their hands, showing you what is possible if you're in the right place at the right time. 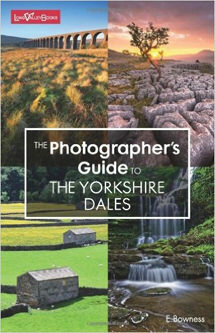 Overall, this book is a great companion for anyone with fair photographic knowledge visiting the Yorkshire Dales. It's great for those new to the area, or those looking for new and different destinations in the area." By Ellen Bowness, The Photographer's Guide To The Peak District contains everything you could possibly need to know about photographing a certain area of the country. Split into chapters on the North, South, East and West of the Peak District, you can easily find an area you'd like to visit and photograph. This book also features satnav information for all of the destinations, making it easier to find your way there using a smartphone or car navigation system. In the review, which received 4.5 stars, ePHOTOzine said: "The book is filled with beautiful images from local photographers who know the location down to a tee. This book is ideal if you already have the technical photographic knowledge, and are looking for location ideas to expand your portfolio of landscape photos. It's also great for those new to an area or even those who might live near these destinations but may not know they exist. A thoroughly enjoyable and useful book." As with all the titles in this series, this book is informative, incredibly useful and well worth putting in your camera bag when heading out in the Peak District. 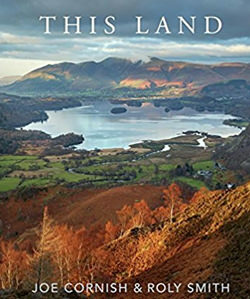 The book received 4.5 stars in the review where ePHOTOzine said: "This book is a great idea, and provides clear and concise information about the many beautiful photography points of interest in the Lake District. Of course, you should still explore and go off the beaten track to find great photos. However, this book is a good starting point if you're holidaying in the area or just want to learn more about it before heading out with the camera." 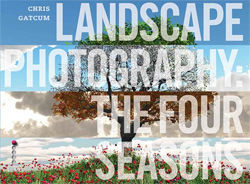 Landscape Photography - The Four Seasons is a title that takes you through each season step-by-step, showing you how to get the best out of your photography for each one. The book looks at lots of eventualities for each season, including shooting in rainy weather, misty conditions and getting creative with your photography to create something a little different, even in harsh and trying conditions. More than just a book about how to shoot the seasons, gear you'll need and preparation for each season before heading out is covered in detail, allowing you to know what you need, and how best to shoot in certain conditions. 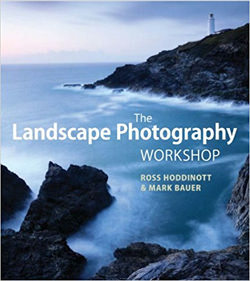 Commenting on the book in the review, where it received 4.5 stars, ePHOTOzine said: "This book will certainly prove useful for anyone seriously getting into landscape photography that wants expert information on what to take with them and how to achieve great photos no matter what the weather throws at them." Aimed at beginners and enthusiasts, this inexpensive guide is new to the market and so far, is scoring well. The language used isn't over complicated and as well as great tips, you'll find photos throughout for inspiration. It's set out well and there are even a 'pro tips' section and a link to a sunset time app which us really handy to have when planning your trips. The book is only available on Kindle but this means it's free to those with KindleUnlimited and only £1.99 for those without it. 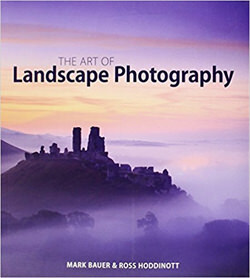 If you're looking for a technical guide on landscape photography, this book is well worth considering. Michael Frye combines practical advice with some of his best work to inspire and educate budding landscape photographers. The book's in-depth chapters are well designed and easy to work through with suitable examples from Michael's photo collection used throughout to further illustrate points. 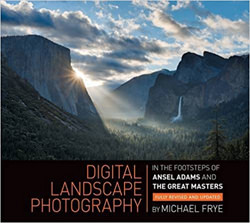 The book pays close attention to techniques pioneered by Ansel Adams and Michael does an excellent job of applying them to a digital world. This book is an iconic collection of National Geographic's photography of the world's most beautiful locations and if it fails to inspire you, we're not sure what will. With vast deserts in twilights, snow-capped mountain ranges at the brink of dawn, a forest in the height of autumn colours and many more majestic scenes, these indelible images magnify the beauty, emotion and depth that can be captured by those who love the outdoors and landscape photography. 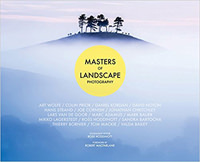 Two of the UK's leading landscape photographers came together to share their wealth of experience and teaching skills in this title. 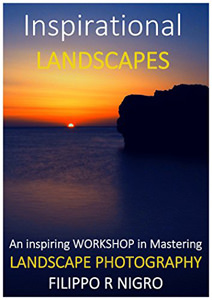 The Landscape Photography Workshop aims to take the reader from the very basics of equipment and exposure through to advanced techniques. Landscape essentials, such as composition and filtration, are covered in depth and explained in a precise yet easy-to-understand manner. This book also has chapters dedicated to post-processing and printing, enabling the reader to go successfully from camera to print, plus a number of practical assignments to encourage development. This book is a showcase of some of the remotest and most beautiful places on earth. The images are awe-inspiring, with a diverse collection of scenes from Scotland to Iceland and Africa to Australia. It's well worth a peruse if you like landscapes and panoramas. Landscape Photographer of the Year, the full-colour book of best entries for the Landscape Photographer of the Year competition, has been hugely successful in its first ten years. Like the others before it, the eleventh edition features both classic shots of verdant rural countryside and stark urban landscapes capturing the beauty and diversity of Britain in the 21st century.